Korea’s traditional folk song “Arirang” has been recommended to be listed as an Intangible Cultural Heritage of Humanity by a UNESCO subsidiary body that has examined nominations from countries around the world. The subpanel of the UNESCO Intergovernmental Committee for the Safeguarding of Intangible Cultural Heritage recommended Arirang be placed on the list after screening 36 nominations, according to the Cultural Heritage Administration (CHA) Monday. A final decision will be made in the main committee meeting set to be held from Dec. 3 to 7 at the U.N. body’s headquarters in Paris, the agency said. 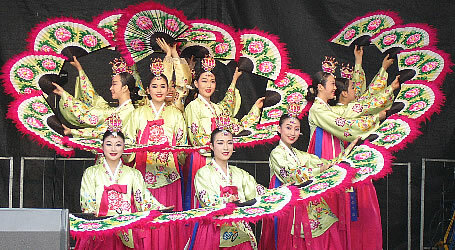 Korea currently has 14 items on UNESCO’s list of intangible cultural heritage of humanity, including the Royal Ancestral Rite and Ritual Music at the Jongmyo Shrine, which the kings of the Joseon Kingdom (1392-1910) used in ancestral memorial ceremonies, and “pansori,” a traditional Korean style of narrative song. “The subpanel highly rated Arirang for having been constantly recreated generation after generation, playing an important role in forming an identity of Koreans and consolidating unity among them,” a CHA official said. Seoul previously planned to make a joint request with North Korea for UNESCO to recognize Arirang as World Heritage, but made a solo bid in June instead. Cultural officials from both sides have not been able to discuss the issue since the sudden death of former North Korean leader in December 2011. The application was a belated response to China’s registration of Arirang as its own national intangible cultural heritage last August, claiming that it was a folk song of an ethnic Korean group living in the northeastern part of the country. Arirang is not just one song but a variety of local versions handed down throughout Korea. Experts estimate the total number of folk songs carrying the title “Arirang” at some 3,600 variations belonging to about 60 versions. Arirang in pre-modern times conveyed the joys and sorrows of commoners in traditional society. During the colonial period, it gave expression to personal and national sufferings of Koreans and fanned hopes for independence in their hearts. As the song has been around for more than 600 years, it is in the heart of not just South Koreans but for those in the North as well. Today, Arirang serves to unite the Korean people. The unified team of South and North Korea sang Arirang as they marched together in the opening ceremony of the 2000 Sydney Olympics. Film director Kim Ki-duk sang the song instead of giving a thank-you speech when his film “Pieta” won the top prize at Venice Film Festival. 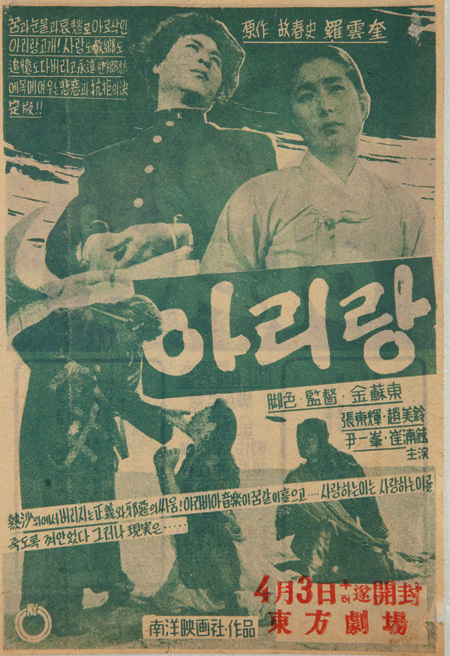 Arirang itself has been a popular subject and motif in diverse arts and media, including cinema, musicals, drama, dance and literature. With surging interest in Korean popular music abroad, Arirang today has greater potential for global exposure as Korea’s foremost cultural emblem and source of fresh musical inspiration. Olympic champion Kim Yu-na skated to an Arirang theme, “Homage to Korea,” at the 2011 World Figure Skating Championships.